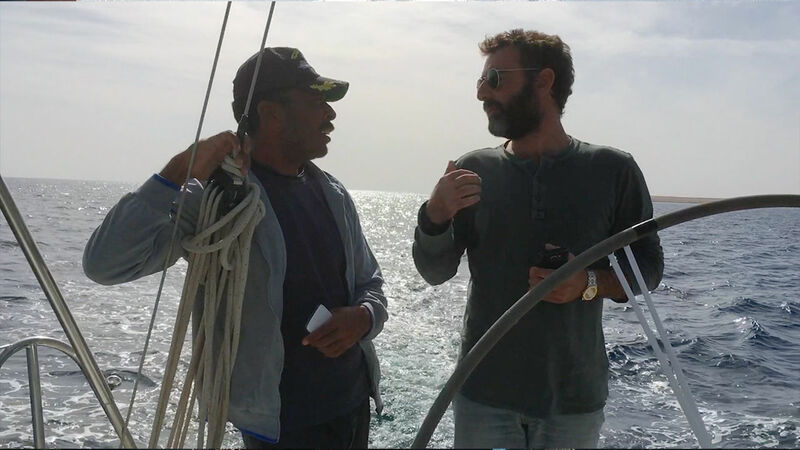 Following a trustworthy fisherman’s lead, on the 21st & 22nd of January 2018, the Red Sea Exlporers' team ventured into the deep waters near Gubal Island in search of an unknown wreck. Due to heavy currents, poor visibility, the estimated depth of the wreck and not to mention the ship traffic in the channel above, we anticipated it to be a tricky dive and indeed it was. Jan 21: Arriving at the suggested coordinates, we spotted the wreck on the depth sounder. The current and surface conditions made it a little difficult to hook the wreck. Eventually we decided to go for it. Upon arriving at depth we found lots pipes but no wreck. However, after 10 minutes of searching, we came upon her. The massive structure was a magnificent sight to see. The wreck appears to have been a cargo ship carrying pipes. It is about 100 meters in length and approximately 15 meters wide. With two long masts, one at the stern and another at the boat, we discovered one life raft under the davits on the starboard side. Jan 22: We got back to the location to conduct further exploration and identify the wreck. Again the surface conditions and currents made us hook a bit further off the wreck. All the pipes around the wreck make it easy to hook at the wrong spot. We spent 15 minutes reeling out to the wreck and spent only a short time on her. The pictures are of mediocre quality as we only took a handy gopro to document our find. 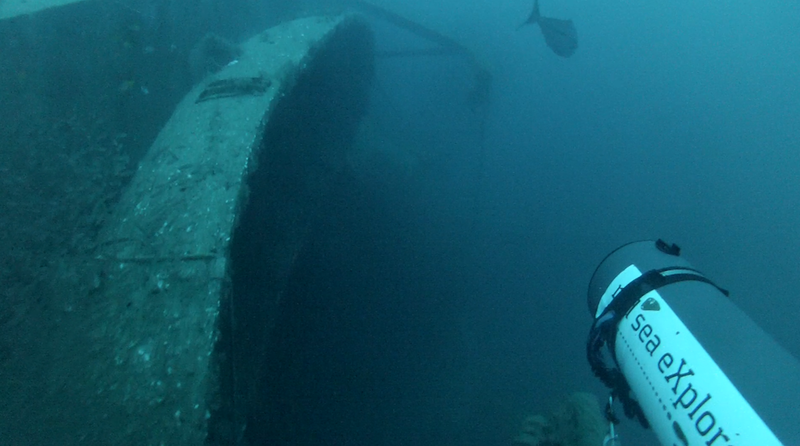 A lot more exploration will be conducted on this wreck. Location: In the middle of the Traffic Separation Scheme North of Gobal Island, in the Northern Red Sea at the mouth of the Gulf of Suez. Ship Design: Twin Masts: One aft of the super structure and another towards the bow. Dimensions: Length approx. 80-110 meters; beam approx. 15-20 meters wide. Condition: The ship seems to be completely covered with growth, suggesting she has been there for a while, anywhere from early to1950s to the 1970s. Orientation: Sitting on her starboard side with her bow pointing north. Topography: The wreck is sitting in a flat sandy patch with all the pipes and beams scattered to her east. Lots of current, both on the surface and on the wreck. Windy surface conditions make it tricky on the surface. Expect difficulty hooking the wreck due the current and its orientation. Visibility is 15 meters; 10 meters at depth. A lot of fishing lines all around the wreck, divers must take cutting equipment. Returning to the up-line is a must as drifting divers will be in the way of the massive cargo ships coming up and down the channel. 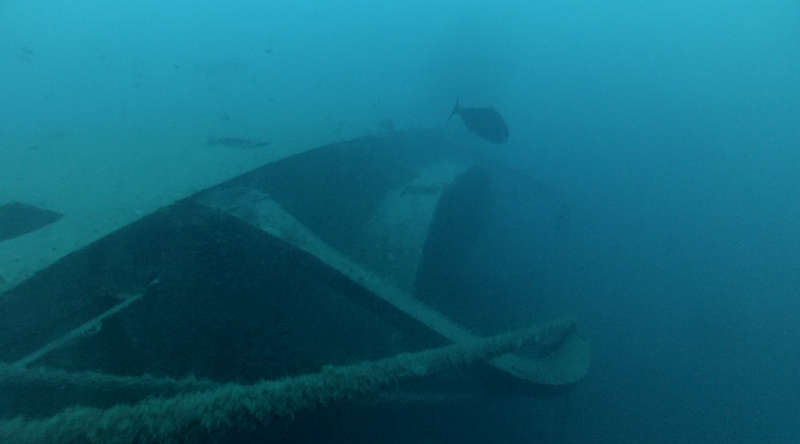 The wreck itself is covered with glassfish. 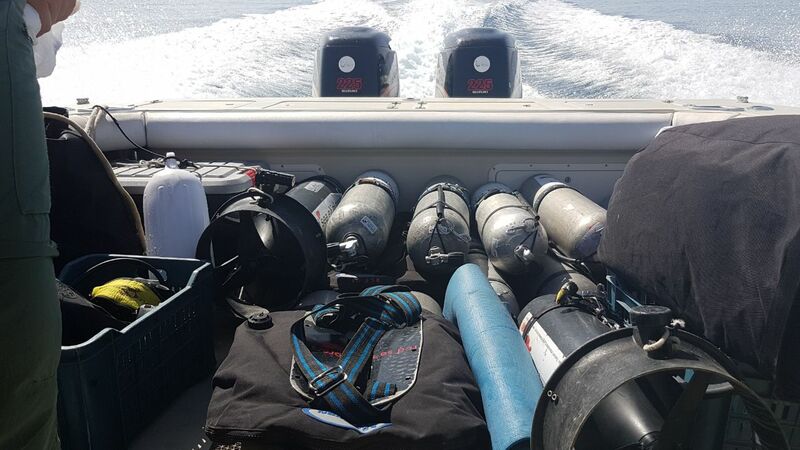 Groupers hide inside and giant trevally followed the divers around the wreck. Schooling Barracuda also showed up. The rich murky water makes it an excellent feeding and breeding ground. This is what we have so far. We will be diving on her again soon, stay tuned for more news.